All information related to the ASD Minos is non-canon. 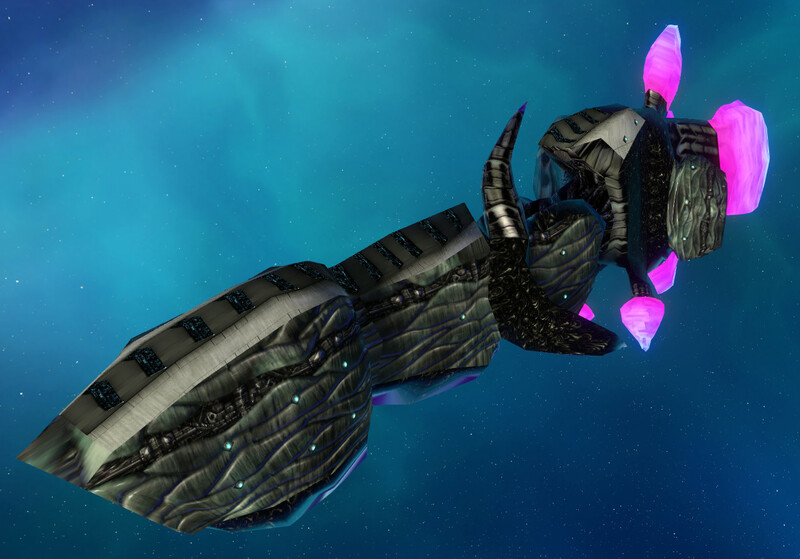 The Minos is an incredibly powerful and heavy warship, one of a rare kind. Its inception was within the same era and generation as the Malia cruiser. This ship, being few in number, is seldom found fighting at the front lines. Instead, it is designed to be able to survive on its own and meet all its needs out in the blackness. Therefore, it is mostly used for operations that we could trust to no ordinary warship. All further details regarding this vessel are classified, and special authorization is needed to view it. Original model by Over the Top Team. Intended to be used as static derelict. Conversion by Woomeister with textures by FreeSpaceKing. 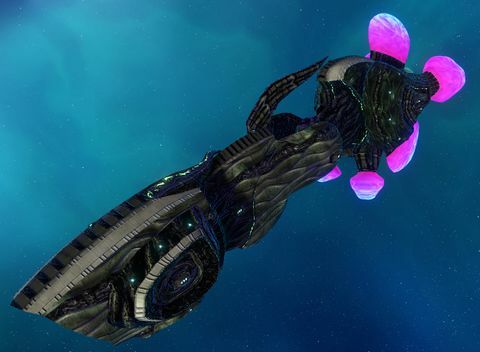 HTL version is following original vibe of the ship closely, but has destroyable subsystems, shield mesh requested by one of HLP members and more turrets. It's inverted relatively to the original. Don't ask why. Shield is disabled by default. All magenta bubble-like things are actually destroyable subobjects. I regret that ASW III was never completed and Minos never saw a daylight. However I doubt if ASW table or model are actually finished. Despite having 7 cannon turrets, it can focus fire from only three at single direction. It has only one spinal cannon, so it's not effective shock jumper at all. It was rather designed for long and exhausting broadside combats with other large warships. Anti fighter defence is the coolest thing of this ship as turrets are arranged in unique way, but also it's greatest weakness. Both sides of front and hangarbay section consists majority of Minos point defences, leaving lots of blind spots and making the superdestroyer vulnerable for bomber strikes. HTL model is improving it's point-defence screen and poor anti-warship firepower. This page was last edited on 11 December 2018, at 13:42.